The terms of the next MLS expansion round may be changing after last week’s announcement that the Columbus Crew might be saved by a new investment group—with Anthony Precourt procuring an expansion team to play in Austin. Whether the Haslam and Peterson families will close the deal to keep the Crew in Columbus remains to be seen, but with MLS making an announcement last Friday about ongoing negotiations, it would seem that things are close to a resolution. If so, one issue will need to be clarified: will Austin be one of the next two expansion teams? As you’ll recall, MLS played with 23 teams in 2018, with FC Cincinnati set to be the 24th MLS team in 2019, and Miami and Nashville joining in subsequent seasons. With teams #27 and #28 up in the air, there’s no firm deadline for awarding the expansion teams. Even without Austin, there’s been an abundance of strong ownership candidates, both established and emerging, as the league continues to evaluate its options. The temptation, of course, will be to look past 28—especially amongst passionate fans who want to see MLS in their city. Austin: 1-2 This assumes Anthony Precourt will be awarded one of the two expansion slots should a new ownership group obtain rights to the Columbus Crew. Like many, we’ve not considered Austin to be a strong contender to land an expansion team in our past evaluations of contenders. But with an experienced ownership group and a settled stadium plan, Austin is looking pretty good. Phoenix: 2-1 With a solid ownership group, a solid stadium plan, a USL track record and a desirable market, the Phoenix Rising bid should be enough to land a team. The sports-business scene in Phoenix is in flux, with the Suns, Diamondbacks and Coyotes all seeking new facilities. St. Louis: 2-1 Another solid ownership group with lots of local ties, another solid stadium plan. 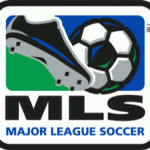 An MLS team would replace the NFL on the local sporting scene, and MLS management has spoken highly about the market in recent years. San Diego: 3-1 A lot is riding on a November referendum where voters will weigh in on development proposals for the SDCCU Stadium (formerly Qualcomm Stadium) site from SoccerCity (a traditional development plan) and Friends of SDSU (which would set up the site as a second San Diego State University campus). Both feature a stadium at part of the development, and both sides say they would work with the other side on a new facility. Detroit: 3-1 When it was proposed by potential MLS owners to install a retractable roof at Ford Field with the Detroit Lions, Detroit instantly improved its chances of landing an expansion team. And while the process is a little more complicated than just changing the Ford Field roof—where there’s an open roof and potentially real grass there’s also the need for a more robust drainage system—the fact it’s even being brought up is good news for Detroit pro-soccer fans. And while there’s also a huge challenge in being a secondary tenant in an NFL stadium, it works in Atlanta with Arthur Blank owning both teams, and it could work in Detroit with the Ford family involved with both teams. Sacramento: 6-1 A heavy-hitting lead investor still needs to emerge. 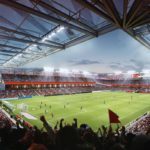 Sacramento Republic has been tremendously successful at the USL level, selling out every match, and with a new-stadium plan in place, would seem to have a leg up in the pursuit of an MLS team. But we’ve seen MLS be very patient in giving teams time to check off every item on the expansion checklist. Charlotte: 15-1 New Charlotte Panthers owner David Tepper has talked favorably about adding MLS to the mix, but always in the context of a new stadium. There’s no doubt a vocal chunk of the Charlotte business community has more than a little envy of what Arthur Blank accomplished in Atlanta with Mercedes-Benz Stadium. And Tepper is right to discuss whether Bank of America Stadium fits with his vision of the Panthers. But a trial balloon does not equal a commitment to spending a billion dollars on a new stadium and MLS team. Las Vegas: 25-1 Brett Lashbrook has proven Sin City is a viable MLS market by drawing fans to a downtown ballpark not very optimized for pro soccer. 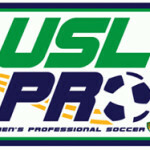 Can that USL success be extended to MLS? It would seem a discussion of pro soccer in downtown Las Vegas is worthy of consideration, but it would require a new stadium; we don’t see Cashman Field being capable of being upgraded to MLS standards. And we don’t know if there’s the appetite in Las Vegas and Clark County for another new sporting facility unless it’s privately financed. Louisville: 40-1 With state funding approved for a new Louisville USL stadium and a solid track record with USL, local soccer enthusiasts say their next target is MLS. A worthy target. But the ownership group and stadium will need to be upgraded to attract the attention of MLS, and with more worthy contenders ahead in line, it would be a challenge to land a team in the next expansion round. Down the line? Yes. San Antonio: 100-1 Simply put, there’s just no way MLS will go for teams in both San Antonio and Austin. 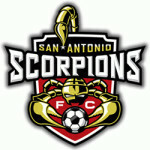 Which is a shame for San Antonio soccer fans. The San Antonio bid features a solid ownership in the form of the San Antonio Spurs and a city government supporting MLS soccer. Tampa Bay: 150-1 With Bill Edwards selling the Tampa Bay Rowdies to the Tampa Bay Rays and the Rays ownership saying they had little interest in pursuing an MLS team at this time, it appears highly unlikely we’ll see MLS at Al Lang Stadium any time soon.